Proven to significantly boost productivity and facilitate decision making, interactive displays are rapidly becoming an integral part of group collaboration in all industry sectors. Offering interaction to all meeting or classroom participants, the increase in popularity of this technological innovation means that the writing is now on the wall for traditional methods. In order to deliver a truly four dimensional experience interactive displays combine powerful audio, video and screen sharing tools. To find out more about the very best interactive products on the market, please contact us today. With over 15 years’ experience of providing and installing state-of-the-art audio visual systems, Videonations has a wealth of expertise in integrating total communication solutions into interactive collaboration environments. Furthermore, Videonations are an accredited reseller of the market leading brands which allows us to supply and install the complete range of interactive displays into dynamic organisations across the UK, adding value to their business. Highly versatile, intuitive and extremely user-friendly, interactive displays, whiteboards and video conferencing systems form global collaboration hubs where ideas are born, major decisions are made and pragmatic businesses thrive. From incredibly productive brainstorming sessions to facilitating polished presentations, this invaluable tool makes engaging with your colleagues incredibly simple and works on standard office applications. 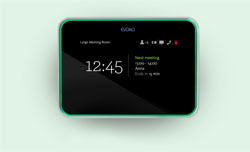 Through enabling you to loop in even more minds, insights and perspectives at the same time, interactive displays have changed the way professionals collaborate in the mobile age. Too many times we have seen other audio visual integrators recommend solutions that are inappropriate to a specific business through neglecting to take into account their individual needs. We are different as we take a fully consultative approach to meeting our customers’ requirements. Therefore, we will analyse your specific needs and provide you with a fully comprehensive bespoke solution which encompasses every aspect of the process; from the design, installation and on-going maintenance of systems through to onsite or remote end-user training. Videonations specialise in the installation of interactive displays in several sectors including education, business, government, and publishing and can help your organisation to flourish. Use interactive displays to introduce collaboration areas to a business and transform the way employees share information and communicate. Interactive displays deliver faster decision making for a business as well as increased productivity and more effective issue resolving. Improvement in these areas will quickly result in a fast return on investment making an interactive display a cost effective solution. For further information on interactive displays for business and how they can improve productivity and issue resolving within the workplace, please contact us. Interactive displays for education assist teachers in bringing an increased level of interactivity to the classroom. The simple to use interactive displays can be easily adapted to the requirements of the classroom and can enhance learning and improve the engagement level for students. The Teachers are able to use and work with applications they use on a day to day basis whilst being able to write over and add notes to documents using digital ink, fingers and hands. Please contact us for more information on interactive displays for education. 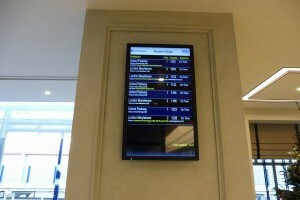 Interactive displays are used in the public sector to help to reduce carbon footprint and costs while increasing productivity. 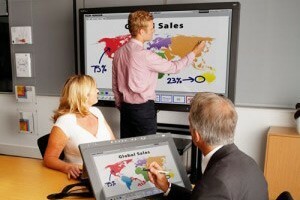 Employees can use interactive boards to interact in highly productive meetings even if they are in a another location. Interactive displays are designed to meet the collaboration requirements of the public sector, from fire and rescue through to healthcare and government applications. 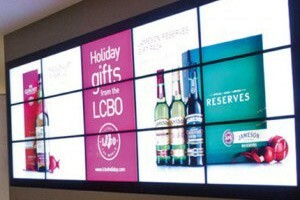 For further information on interactive display solutions for the public sector please contact us.